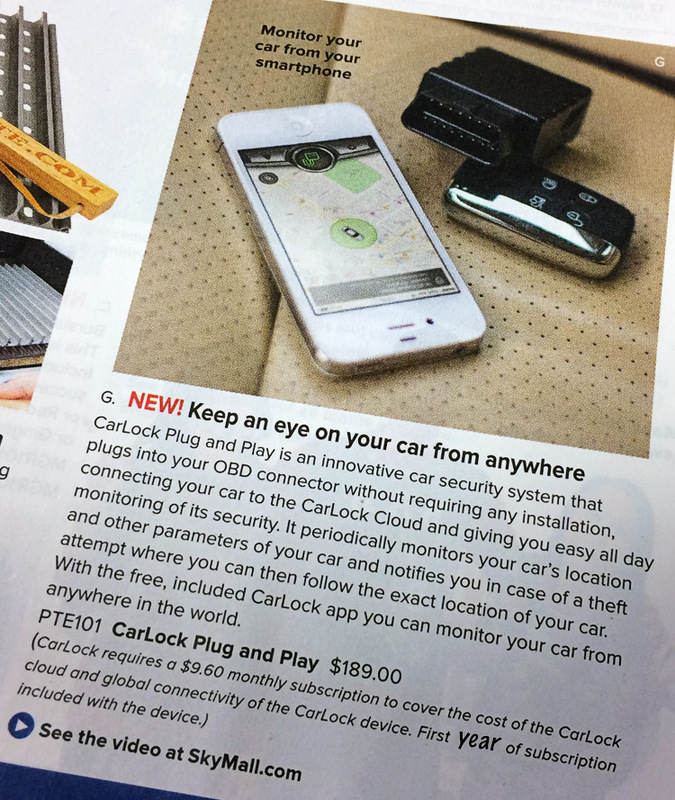 We are very excited to announce that CarLock has been selected for this years holiday issue of SkyMall shopping catalog. SkyMall is an in-flight publication, with an annual circulation of approximately 20 million copies distributed in airplane seat pockets. The SkyMall catalog is seen by approximately 88% of all domestic air passengers in the United States, reaching more than 650 million air travelers annually.